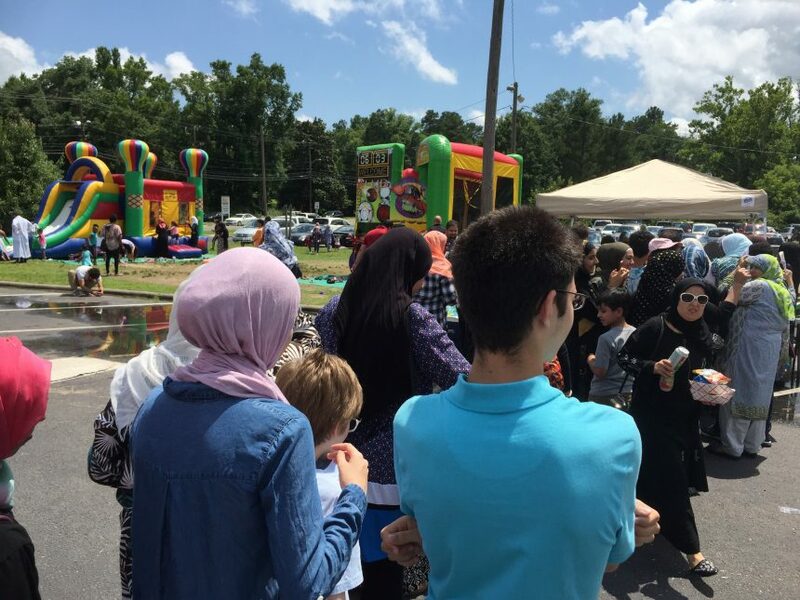 ZF Sponsors Eid Festival in North Carolina – In the heat of a summer day, Ibrahim Alhaj handed out ice cream cones to everyone at the Eid Festival. Ibrahim resettled to the United States from Syria about eight months ago, and he is one of the many refugees rebuilding their lives in the U.S. thanks to the efforts of Zakat Foundation of America (ZF). Last week, ZF co-sponsored an Eid Festival with Masjid Ibadurrahman in Durham, N.C. Most of the people who attended were refugee families from Syria and Iraq. “It is nice to see refugees are adjusting [in the] U.S. and becoming part of the community,” said Murat Kose, ZF’s East Coast Programs Director. For the past two years, ZF has been assisting refugee resettlement in North Carolina. The organization provides English classes, transportation, and employment opportunities. In celebration of the holy month of Ramadan, ZF sponsored a series of Eid Festivals across the country, including in New York and Delaware.